Amlactin and dark spots are designed to work hand in hand. The powerful alpha-hydroxy moisturizer, touted to remove dead skin cells and resurface the skin's outer layer, is quickly becoming a frequently recommended treatment for patients with various skin care conditions. No matter the condition, AmLactin has proven a worthwhile treatment for many who have experienced fading dark spots with repeated usage. For those seeking relief from skin conditions such as dryness, itchiness, discoloration, scabbing or rashes, AmLactin is an alpha hydroxy treatment that may successfully combat the unsightly and uncomfortable side effects of these varied skin problems. How does AmLactin work? 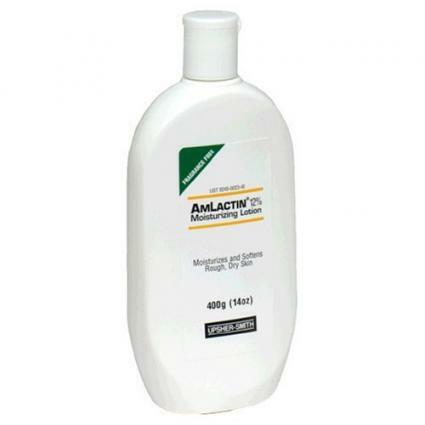 AmLactin cream is a unique combination of 12 percent lactic acid that is neutralized with the ingredient ammonium hydroxide. Once neutralized, the cream has a pH of 4.5-5.5. This unique cream has been reported as an effective humectant for the skin. AmLactin creams are all fragrance-free, reducing the risk of irritation with use. The unique, heavy duty moisturizer exfoliates dead skin cells and helps skin retain moisture, softening and smoothing the appearance of the skin while eliminating the appearance of discoloration and dark spots. Dosage directions for AmLactin are found on the product. For those who have been prescribed treatment by a dermatologist, apply the cream to the surface of the skin at least two times daily, or as prescribed by your physician. For those seeking an alternative to costly medical treatments such as chemical peels, alpha hydroxy and lactic acid treatments are designed to quickly break down the outer surface of the skin, sloughing away dead skin which may be prone to the risk of itchy skin conditions such as eczema or dark spots and skin discoloration. Cost effective lactic acid treatments may bar the same results as professional medical treatments over time, without the surgical risk or expense. For those with skin discoloration, AmLactin may be prescribed by a physician or dermatologist to treat the conditions of the skin. What causes irregular skin conditions that become the target of AmLactin and cause dark spots? When the outer layer of the skin is damaged, it toughens up as it dries up. The thicker, dried skin layer is darker in color than the healthy skin. By removing the dead skin, new, healthy skin is exposed, and the symptoms of dryness or itchiness temporarily subside until the underlying condition returns. With regular use of moisture rich creams that contain lactic acid or alpha-hydroxy acid, dark spots may begin to fade, and stubborn skin problems such as bumps or dryness may benefit from the sloughing alpha hydroxy hydration.